Google announced on the AdSense blog that effective now, Google is removing not just the earnings associated with invalid clicks but also the clicks and impressions associated with those invalid clicks. Google explained that they want to reports to be a more "seamless experience" across their products. So while the reports have been removing earnings for invalid clicks, until now they have not been removing the click and impression data for those invalid clicks. Google says earnings are not effected but you may notice changes to your click and impression data. It also may impact the CPC (cost-per-click) and RPM (revenue per thousand impressions) showing a slightly higher number. 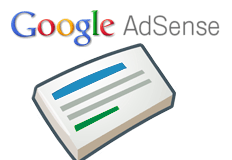 So what does this mean for your AdSense account? First and foremost, this change will not impact your earnings in any way. In most cases, removing the invalid activity from your reports means you can expect to see a slight decrease in clicks and impressions, causing a slight increase in CPC (cost-per-click) and RPM (revenue per thousand impressions). The clicks and impressions that we’ll no longer show in reports include activity like accidental clicks, so metrics like your CTR (clickthrough rate) will more accurately reflect your site's performance. You might also see a more noticeable difference in your AdSense reporting when compared with your own account statistics measured through other tools. Please note that this change won’t affect the way we screen for invalid activity. So don't freak out when you look at your reports.